ZHOU Chun, LI Yu-Guo, ZHANG Bao-Qiang. 2019. Oceanologia et Limnologia Sinica, 50(2): 261-268. ZHOU Chun, LI Yu-Guo, ZHANG Bao-Qiang. 2019. 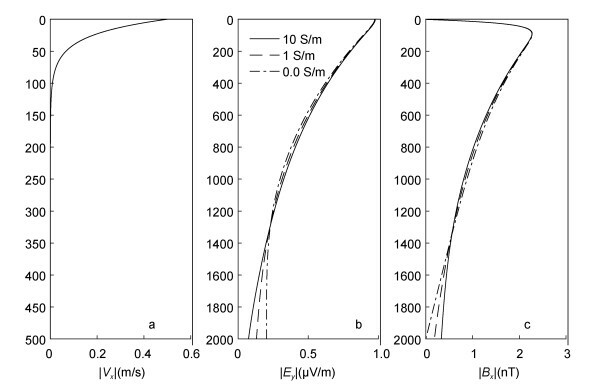 NUMERICAL SIMULATION OF THE ELECTROMAGNETIC FIELD INDUCED BY SEAWATER MOVEMENT[J]. Oceanologia et Limnologia Sinica, 50(2): 261-268. 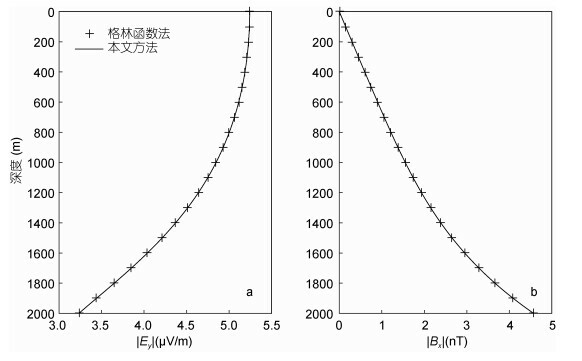 Abstract: Conductive seawater moves in the Earth's magnetic field and generates electromagnetic (EM) field variations. 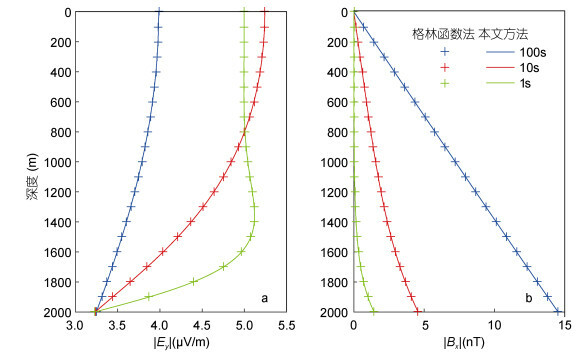 We derived partial differential equations of seawater movement induced EM (EMswi) field from the Maxwell equations, in which the continuous condition of tangential component of the electric and magnetic fields on both the air-sea interface and the seafloor is used. 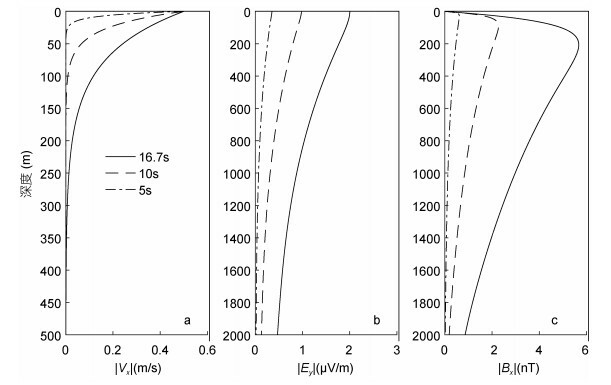 We calculated the EMswi field in constant seawater velocity model and compared the results with that obtained using the Green's function method; both agree very well. Meanwhile, we simulated the EMswi field in a variable seawater velocity model. 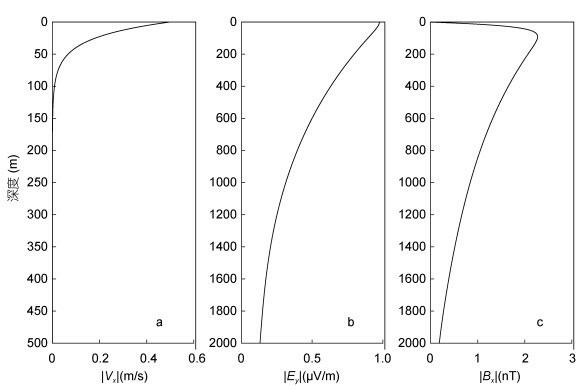 The result shows that the EMswi responses are affected by the seawater movement period and the seafloor conductivity on different scales. 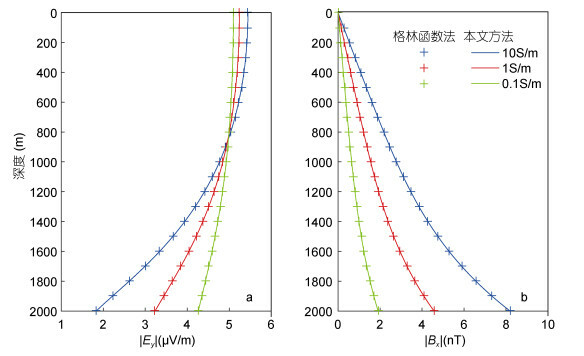 It is shown that seawater movement can generate an electric potential difference of 6μV/m and a magnetic field of 10nT at the seafloor, which are almost in the same order of magnitude to the marine magnetotelluric signal. Therefore, EMswi field shall be taken into consideration in marine Magnetotelluric Sounding (MT) data processing.